A beautiful scene in a valley with mountains in the background to start this shortened week. Ireland has changed so much since this photograph was taken, now we have an old new president in the Áras, we don't have to worry about being blasphemous any longer, and (fógra) we have had 65 million views! A virtual sticky bun for all our wonderful contributors, thank you for all your help, work and dedication! Has that wild atlantic way look - Donegal, Galway or Kerry? I would be more specific, Ireland.. I see a telegraph or electricity pole half-way between the white cottage and the left-hand side of the image. Having played with the colour levels a bit, I also think I see a black car at the base of the pole, facing end on to the camera. Perhaps a date towards the latter end of the range? Taken from around here, I guess, if it is: www.google.com/maps/@51.6784598,-9.732316,3a,34.6y,295.79... Only further over, so the sea is in it. Here is a reverse Streetview of that bridge (Reen bridge) - two flat arches and one round. [https://www.flickr.com/photos/gnmcauley] Odd. They were working for me but now they're not. Is the last post any better now? I think the massively long zoom links quite often have escape characters in them or something and they get truncated when you click on them out of flickr. 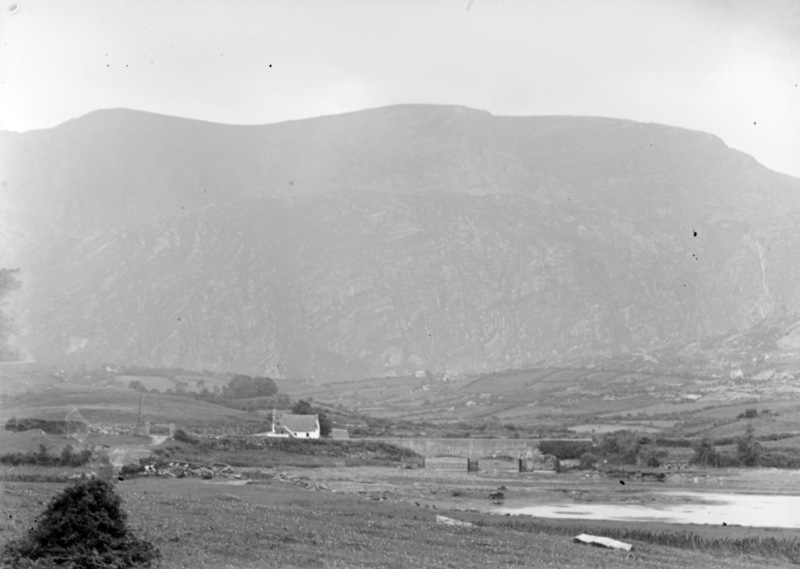 [https://www.flickr.com/photos/[email protected]] I've taken to using the short links: in your streetview, in the little tab at top left (County Cork) there is a three dots button at the right of the tab. Click that, select Share or embed from the menu, and it'll pop up a window with a shortened link for sharing. That link seems less prone to link breakage, especialy from a photosphere. goo.gl/maps/Nkmji3HANvu Are we looking at the older Reen bridge, seen from above on the left.